Appledrive in Rizal Province « The Appledrive Project Inc.
July 5, Friday | The day started quite early for me and my guests for the appledrive. The skies were overcast, and the rainclouds above were threatening to fall at any minute. 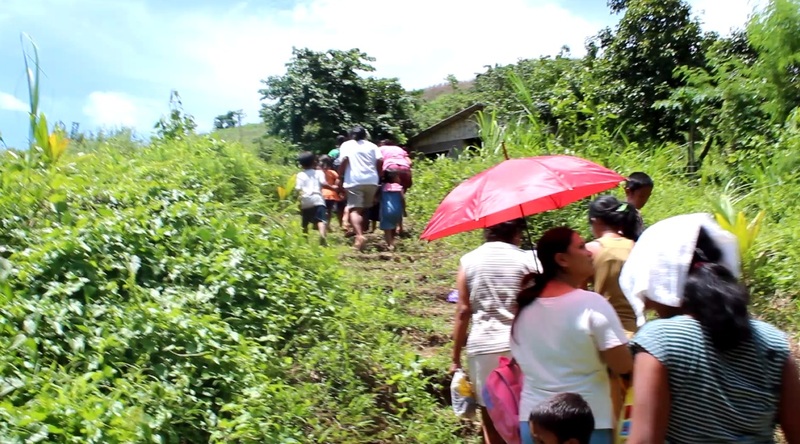 I was slightly worried coz we were set to visit the Dumagat kids in three different locations that day–all in that morning, at the mountains that surrounded San Mateo and Tanay, Rizal, more than an hour’s drive away from Manila. These two locations were some 45 minutes apart from each other. Rough, dirt roads were bound to be slippery if it rained. I kept wondering if we would finish all we had to accomplish by midday given these unfavorable circumstance. The kids, mostly in kindergarten and preparatory schools, only stayed in school until lunch time. But we trudged on. We arrived at our first location in Pintong Bukawe in San Mateo, in no time, to a lively group of almost 30 kids who recited their morning prayers. 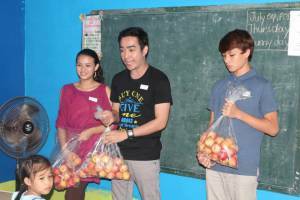 Sharing with the kids why it was important to eat healthy foods. I then proceeded to introduce myself to the kids, and their parents who were also present. 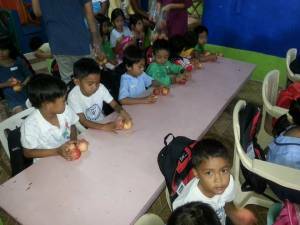 I especially appreciated the fact that the kids’ parents were there too, so they knew the cause and the purpose of the Appledrive–of why it was important to have children eat fruits and vegetables, and not just have the kids eat sweets. Good thing after the San Mateo school, the sun started to shine. 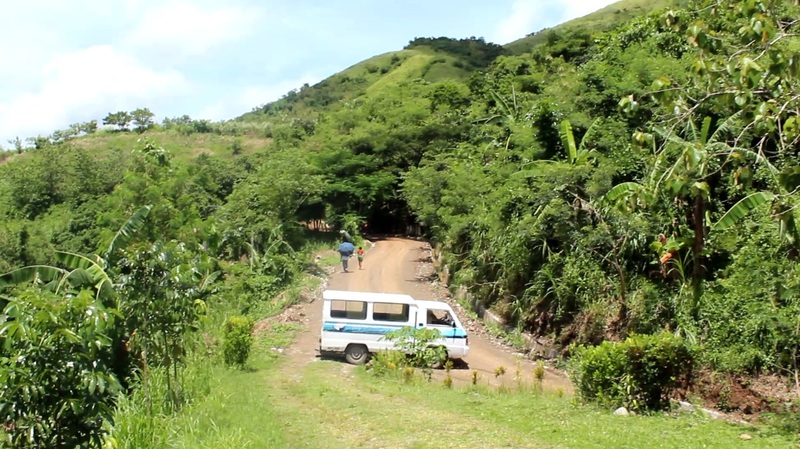 But it did not make the particular route to the next site any easier as we encountered wet, muddy roads and steep inclines and declines. We arrive in Tanay, Rizal, later on to find ourselves surrounded with a 360-view of mountains. It was splendid and breathtaking. 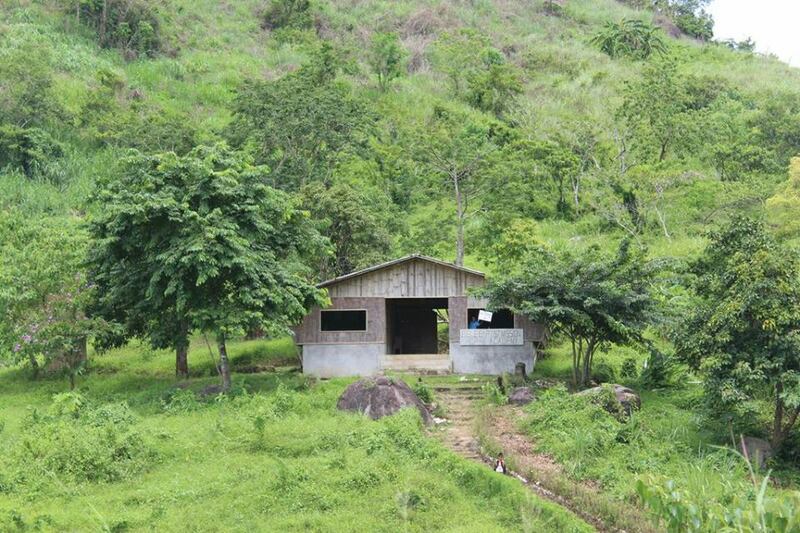 Over at the hill next to where we stopped, stood a simple bamboo-built school. 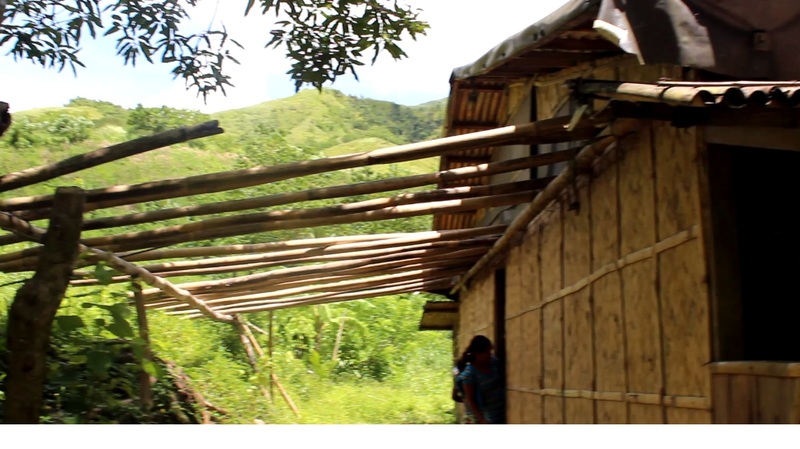 As we were pressed for time as it was almost noon, the hosts of HOP-E Foundation, our partner school, decided to arrange that the two schools in that barangay be merged in the bamboo school for easier access and distribution. The sweetest things you hear from these children are words like these, and when words aren’t enough to express the kind of gratitude you know they feel. It makes all the worries and exhaustion all worth my while. As I write, my legs are still kind of sore from all the climbing we did and the carrying of that box of gala apples up to the learning center, but I still feel humbled and very blessed somehow, to know that at the end of the day, I get to sleep in a comfortable bed, and get to eat my favorite food. 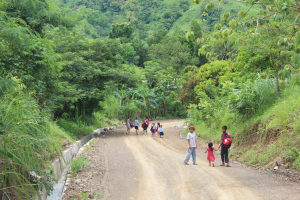 But for those kids, to hike those mountainside on a daily basis just to reach the learning center is their routine. But circumstances like these should not be hindrance to not give these kids their right to proper education. That is why I salute people from HOP-E for doing such a fantastic job at reaching to these indigent kids. I would like to take this time to thank the volunteers and guests who helped me with another successful Appledrive! And to our partner, the HOP-E Foundation for the opportunity to serve and be of service! 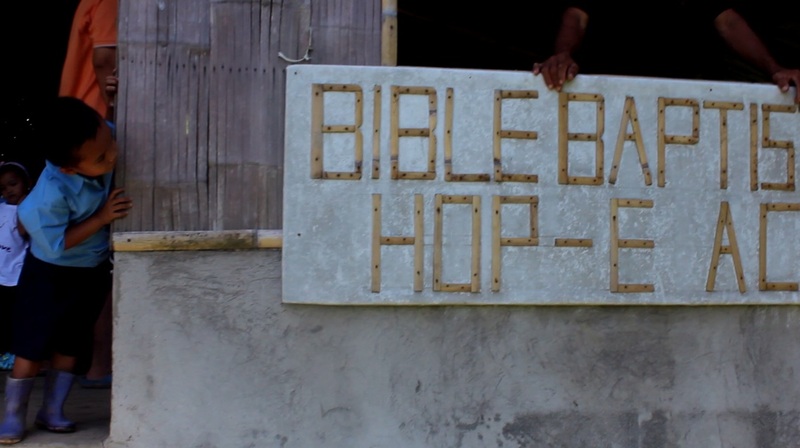 HOP-E stands for Help Overcome Poverty Through Education. They are a group of social entrepreneurs who launched an advocacy… one that started with a simple desire to help one scavenger have a better life. 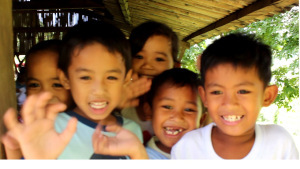 Our partner at Hop-e Foundation helps impoverished children to have proper education. Through donations and Child Sponsorship Program, you can help send a child to school. Thus, the child is “hopping over” poverty thru education. Check them out on Facebook.